Pinterest is different from other social media platforms in that it acts more like a search engine. That alone makes it a powerful medium for your business. The right people—the people who are searching for what you have to offer—can actually find your posts/pins. Pinterest is a huge network with over 100 million pinners. Pins have a long lifespan that bring you traffic for months to come. Pinners are engaged, seeking content and products to interact with and buy. 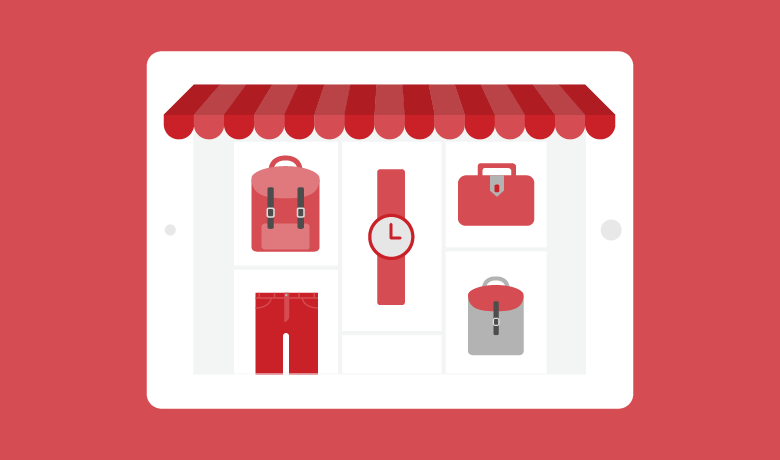 Pinterest can keep you and your business informed about current trends. Pinterest is a place where you can share your content and products, inspire your potential customers and gain valuable insight about your market. Also, Pinterest offers a powerful and captivating way for your current and potential followers to save your content and return to it again and again. Think your brand is not visual enough for Pinterest? It can still work wonders. Pinners are looking for ideas and advice too. Even if you do not have a store with products to pin, charts and infographics are also huge opportunities. 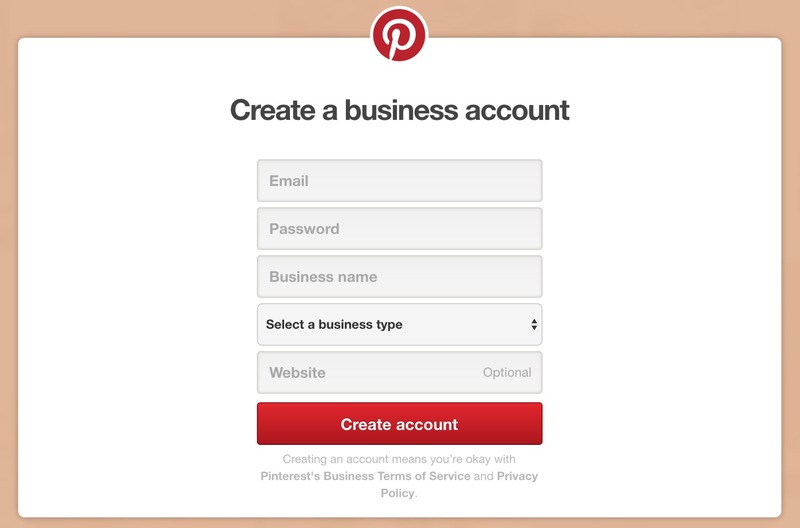 In addition, Pinterest offers tools and guides on how to make your business more successful on the platform. We will get into all of that later in the post. For now, let us focus on properly setting up your account. 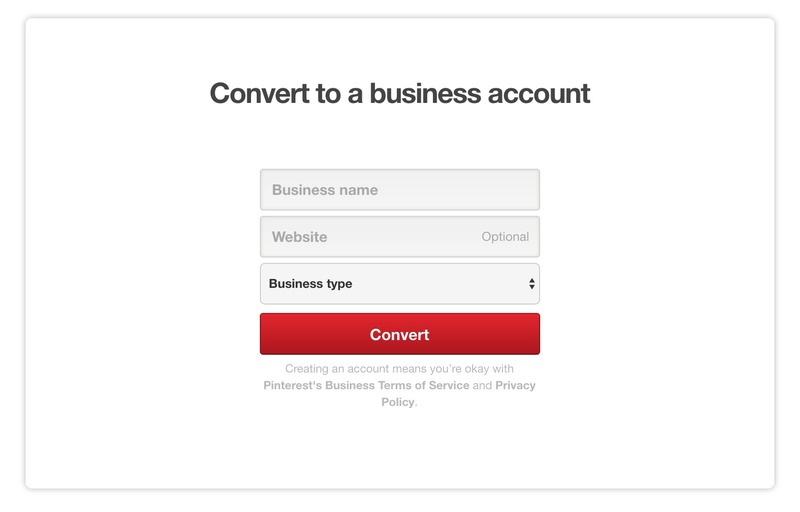 Convert a personal account to a business account. Start a new business account. If you already have a personal account that you are using for business and would like to convert it over, then the first method is for you. Visit the main Pinterest For Business sign up page. Clicking on “Convert now” will get you started by asking you to input your details. Simply add your business name, website and business type. To start a business account from scratch, you will have the same options but will also need to add your email address and create a password. Now you will want to confirm your website address. 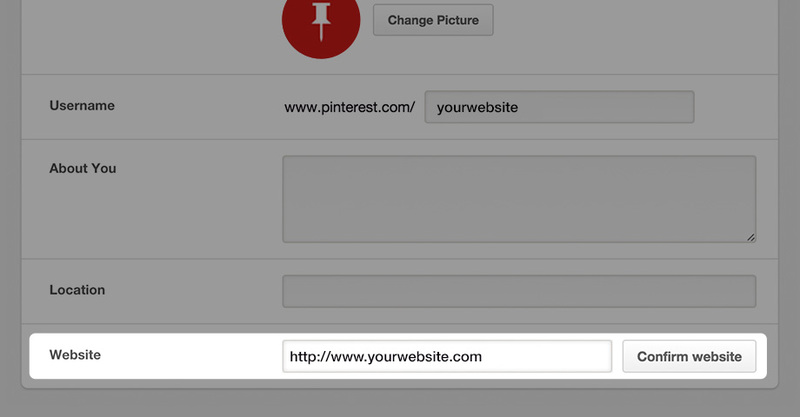 This helps Pinterest know that you and your website are legit. To confirm your website, you may use a meta tag or upload an HTML text file. Click on your picture icon in the right-hand corner. Scroll down and click on “Settings.” From there you may confirm your site. When you click confirm site, you will receive your tag. If this sounds complicated do not worry. Pinterest walks you through the process in this guide. This page also contains a list of popular web hosts in case you desire more specific instructions based on your host. If you have any trouble, the support staff at Pinterest will be happy to help. Wondering whether or not your site is confirmed? Head back into your settings and see if there is a check beside your website box. Ready To Optimize Your Profile? As with any other social network, your profile is prime real estate. It is a chance to highlight what you do and why. Use the same image you use on your other profiles for consistency. Cleverly add keywords in your about section. Make sure your bio represents how you can help followers. 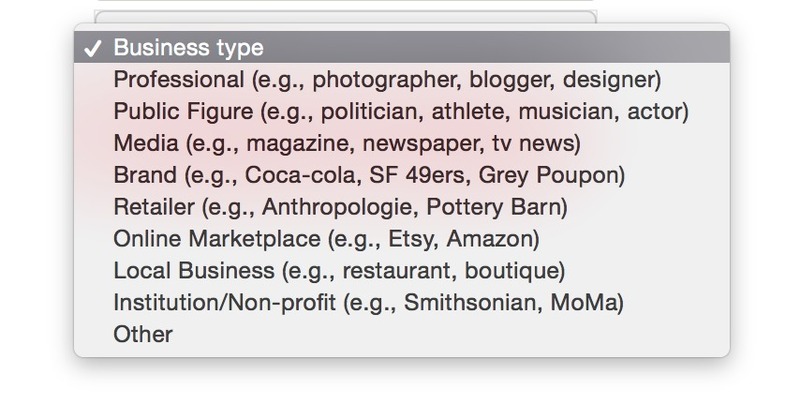 Many miss out on adding keywords to their profile name. This is a missed opportunity to let viewers know right away what your Pinterest profile will offer. Melyssa Griffin (the creator of Pinfinite Growth) does a great job with this. We can see from her title that she will be pinning tips on blogging and entrepreneurship. Also notice that her bio tells lurkers what she can help them do and offers a free resource to get viewers over to her website. Once you have your account properly set up and your profile optimized, it is time to develop a strategy for your boards and pins. First you will want to think about your boards. If you truly want to focus on using Pinterest for business, you need to choose topics that are relevant to your market. For example, if your business is about skincare you will want to focus your boards around that. You do not have to create only skin care boards, but ones that relate. Boards with foods for healthy skin, natural skin care masks and celebrity makeup tips could all be options. You could also have beauty related boards such as hairstyles. Some great “up-dos” will show off that beautiful skin. Stick to creating boards that an audience interested in your brand would also be interested in. Lowes does this well. They have a board called “Build It.” Where do you think viewers are likely to buy the materials needed? A Lowes Home Improvement store perhaps. You can continue to create new boards over time, but go ahead and brainstorm 15-20 boards relevant to your business and get started. To create your first board, click your profile picture in the upper right corner. Then click the create board box with the “+” sign. Name your board and set it as public or secret. If you are looking to share your business and get more traffic and followers, why would you want to make a board “secret?” Most of your boards will be for your audience and you will make them public. Secret boards are just for you. You can use them to store images that inspire your business, ideas that you want to implement and more. Your audience will not see these, but they can help you get organized and keep the creativity flowing. Important Point: It seems fun to get clever with your board names but remember Pinterest acts as a search engine. Make sure your board names use keywords and clearly represent the pins that will be held within. Pinterest boards automatically create covers. If you do nothing Pinterest will generate three pins from within the board to create the cover. If you would like, you can create your own branded covers to add to each board. There are successful companies on Pinterest who use branded covers and ones who do not so it is up to you. If you do want to create your own covers you can use a free program like Canva. Check our social media image sizes guide to make sure your board display is the correct size. Aside from considering your board cover design, you will also want to design your pins to be on brand and stand out in the feed. There are many wonderful pin designs out there for you to draw inspiration from. Make sure you keep your pins consistent so viewers will begin to recognize your pins in their feeds. If you take your own photographs that is wonderful. But do not be afraid to use stock images for the background. Just make sure that you have the appropriate license. You can make stock images look unique with different crops and edits using your favorite photo editor. All of these are clear, true to brand and stand out in the feed. You can use one of your secret boards to collect well-designed pins that speak to you. That way you have something to reference while you are designing your own pins. Make sure every post you create on your business blog has a great branded Pinterest image to go with it. It is a good idea to add multiple images so pinners have choices when pinning your post. Did you know that you can hide pins within a post in WordPress? Maybe you have a large pin that you do not want to show up in the post but you do want to show up when someone clicks your Pinterest share button. Here’s a great tutorial from Pinch of Yum on how to hide an image in a WordPress post. Rich pins are simply pins with more information. If you have seen a recipe pin with the ingredient list underneath you have seen an example of a rich pin. The additional information offered on a rich pin stays with the pin even if pinners change the description. 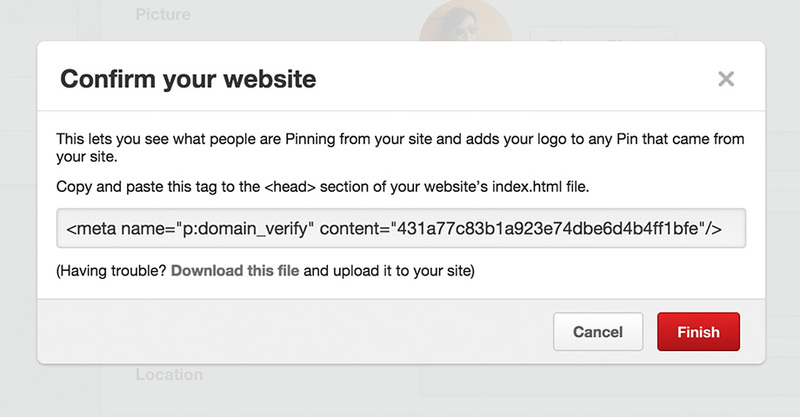 To enable Rich Pins, you need to add some metadata to your site. Second you will use the rich pins validator to make sure your metadata is correct and then apply for rich pins. A developer can help you with the process, or you can follow these steps. Rich pins are shared more often and can greatly increase sales, making the effort to implement them worth it. The next aspect of creating a great pin is your description area. Again, remember that Pinterest acts as a search engine so SEO and social media optimization are important. Longer descriptions tend to perform better, so skip the one word or one sentence scenario. Put some effort into. Let viewers know why clicking on the pin is worth their time. Driving traffic from your Pins to your website is important. While clicking on the pin will take viewers to your link, you should also include the link in the description. This encourages pinners to click. A good call to action also helps. Creating optimized boards and Pins should be a top priority. But in order to get tangible benefits from Pinterest, you need to grow your following and get more exposure. Here’s how to do it. You want the images on your site to have a Pin It Button. You can add Pinterest to your share bar but you can also add buttons that appear on the images themselves. Pin it buttons are available for different web platforms. You can search for a plugin or follow these steps from Pinterest to get Pin it buttons for popular content platforms. The Pinterest widget builder tool allows you to add Pinterest widgets inside your blog posts. You can add a single pin widget, specific board or even your Pinterest profile. All of these options will encourage your readers to engage with you on Pinterest. We have covered a lot from setting up a Pinterest Business account to designing your pins and boards. Now it is time to discuss the actual pinning. A great Pinterest strategy is dual sided. Not only do you want to have your own well-designed pins to share, you also want to support others by pinning their content. Remember to keep it relevant to your business and the boards you have created. This will help you gain new viewers and followers. One strategy is to create and join group boards to build small communities of pinners within Pinterest. Over time as you gain viewers you will likely be invited to join group boards. But do not wait. You can find relevant group boards in your business niche by using PinGroupie. PinGroupie is a website that allows you to find relevant group boards to join. You simply type in a title and description to filter group boards related to your business. You can see how many pins, collaborators and followers each board owns. Joining larger boards gives you greater audience reach but sometimes smaller boards have more engaged users. Explore to find the best boards for you to participate. Group boards allow you to share your own content but also be sure to balance it out by curating. Different group boards have different rules so be sure to read the board description. You can turn a board into a group board by clicking on the board then clicking on the gray plus sign next to your profile picture. This will allow you to invite pinners. Stay active on Pinterest by pinning every day. Although your Pins have a longer lifespan than a Tweet, being consistent will help you build up your audience. 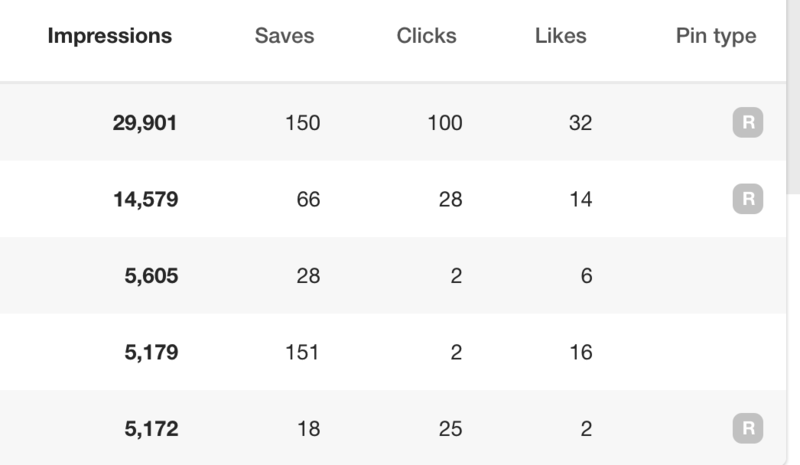 A great benefit of having a Pinterest Business account is the analytics dashboards. You can access your dashboard to the left of the Pinterest search bar. Once in the dashboard you get an overview of how your Pinterest profile is doing, people you reach and the activity from your website. You can also view which pins are receiving the most impressions. The “R” under pin type stands for rich Pin. You can see that most of the top pins are rich. Use the data to see which Pins are working best with your audience, and figure out how to better optimize your future Pins. If you have followed this guide you have a wonderful start in using Pinterest for your business. We have covered a lot from why Pinterest is an important platform, to creating pins and boards and reviewing your analytics.